Over at tinynotebook, I am inviting readers to create and post their own American Sentences. The American Sentence is a horizontal haiku. A true haiku, written in 17 Japanese characters, reads vertically down the page. An American Sentence reads horizontally across the page in 17 syllables. 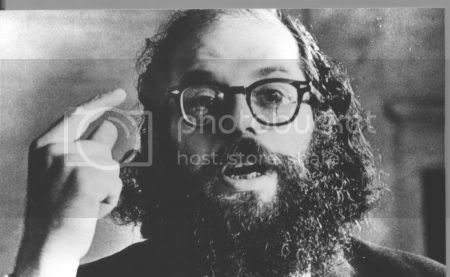 Despite a break in directional deference, Ginsberg wanted the tone of the American Sentence to mimic a haiku. He used them as a tool to record life around him, simply, quickly and naked. With this odd mix of weather expected, the atmosphere should be ripe for 17 syllable looks at your world. Head over to tinynotebook to read examples and post yours. Or post it here. In the winter warmth, runners replaced huddled smokers on the stark streets. My Nikon takes a picture of a man with a monkey on his head. Seriously, that photo is kind of gross but a part of science. Throwing a string of explitives, the man dashed out over fried chicken.